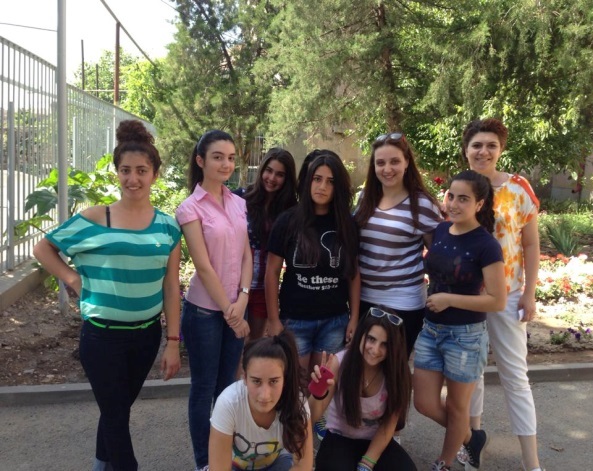 Izabella Manoukyan is a 16-year old bright and spirited young lady attending Usmunk High School in Yerevan, Armenia. She is the winner of the Brain-ring Competition (dedicated to Charles Dickens which is organized by the British Council), and the prizewinner of the international competition “The Child’s Voice” for her composition “Freedom is…”. Las year she attended Cambridge Summer School and impressed her instructors with her knowledge and lively personality. A rock and classical music admirer, Izabella graduated from music school (piano) last year. She loves to read, and writes poems and stories in English. To make her summer more meaningful, Izabella expressed an interest to volunteer at the Nakashian Children’s Support Center (Mer Hooys program) to teach English language to disadvantaged teenage girls. “My short-term teaching assignment through AIWA –SF at the Mer Hooys Program was very rewarding”, said Izabella. “The staff warmly welcomed me every day, and I enjoyed taking the time and learning about each and every girl living at the center, wondering what their future would be like, and how I could make an impact through my limited time spent at the center”. 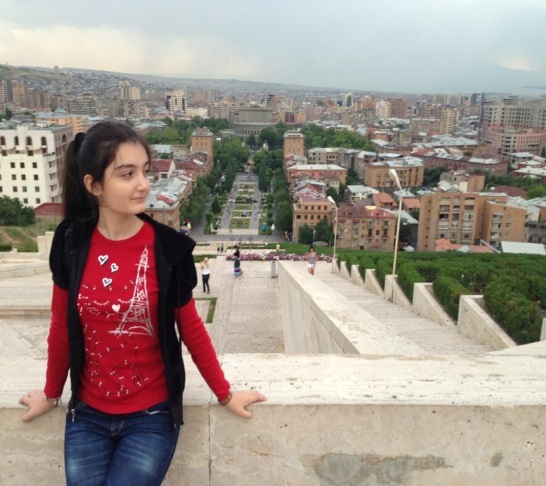 Izabella is graduating from the high school in two years, and plans to continue her education at the American University of Armenia in pursuit of earning her undergraduate degree. AIWA-SF is delighted to watch Izabelle and others grow to be vibrant young women who are proactive in helping make a difference in Armenia.